PNET cell lines show a wide range of MYC mRNA expression with lowest expression in DAOY PNET cells and highest expression in D425 PNET cells. [8-10] In DAOY, PFSK and UW288-2 PNET cell lines that do not have MYC gene amplification, MYC mRNA expression levels show a 10-fold difference. Mechanisms other than gene amplification that activate MYC are well recognized in various solid tumors. These include retroviral inser-tional mutagenesis, chromosomal translocation, somatic mutations, or activation by transcription factors (reviewed in Ref. ). Our own studies demonstrate that MB primary tumors also show a wide range of MYC mRNA expression levels, with a 22-fold difference between the highest and lowest value. Like the PNET cell lines, MYC mRNA expression is highly variable in those MBs with no MYC gene amplification (showing an 11.6-fold difference between the highest and lowest values). Transcriptional regulation of MYC in MB may involve the adenomatous polyposis coli (APC) and b-catenin (CTNNB1) pathways. A subset of MB is associated with Turcot's syndrome, in which colonic cancer is associated with primary brain tumors and which is characterized by germline mutations in the APC gene. While mutations of APC have not been detected in sporadic MB,[13,14] approximately 5% of sporadic MB have been reported to contain mutations in a second Wingless/Wnt pathway member, b-catenin. 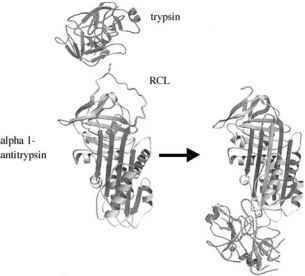 [15,16] Mutations in either APC or b-catenin act to stabilize b-catenin protein. Stabilized b-catenin protein accumulates and translocates into the nucleus where it forms a complex with Tcf4 and up-regulates the transcription of MYC and other target genes. [17,18] In a recent study, aberrant nuclear b-catenin staining was demonstrated in 18% of sporadic MB and in one MB from a Turcot's patient. Therefore, mechanisms other than gene amplification may activate MYC transcription in MB.